I’ve been an Evernote user since about 2013. I went through many phases of using it because I could never really understand how to use it. After researching how others use it, I just couldn’t figure out how to use it in a way that made sense to me. I tried different layouts and different tags, but it always felt so frustrating to use. Eventually, it became my “everything I can throw in it” app because I got lazy. I had figured out a way to structure my documents for taxes in Evernote. Stuff like my receipts for deductions, etc. Even other documents like contracts that I needed to hold on to. However, the one that I wasn’t storing in it was actual notes. 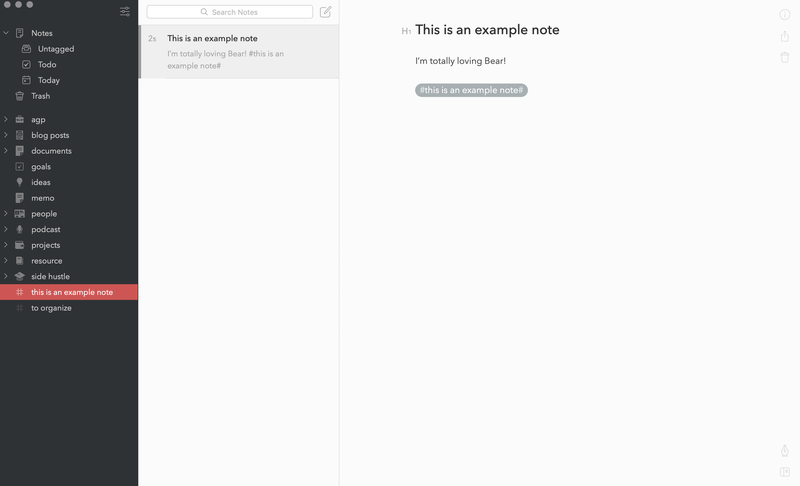 It was too frustrating opening Evernote to actually use it for notes. It felt very overwhelming and bloated to open and look at. I barely opened up the app. Even after the “newly designed” look of the app from a few months ago, the app still had an ugly Windows/PC/Microsoft Word kind of look to it. As you can tell, I’m an Apple user. 🤷‍♂️ Nonetheless, for a company being around as long as it has, they’re not innovating in my opinion. The app feels stagnate as far as the features, look, and ease of use goes. I had also been using Ulysses to write blog posts in. In fact, this post your reading was written in Ulysses. It’s a simple and powerful app. 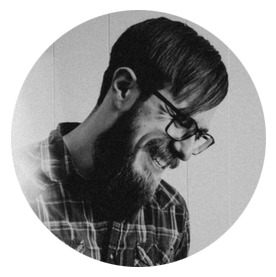 The main feature I love about it is the fact it can publish directly to my WordPress sites. So, when I needed to keep notes for projects I was doing, I began storing them into Ulysses. However, I don’t feel Ulysses is made for notes. I feel it’s better for long-form writing. 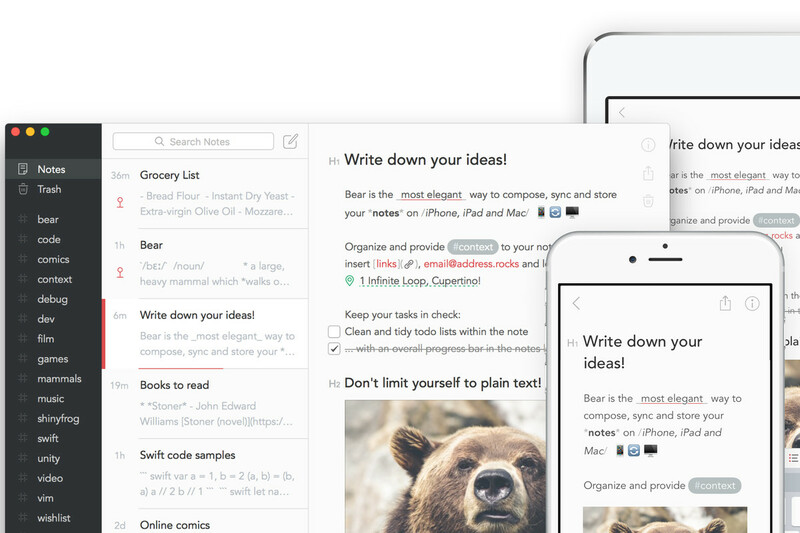 After being fed up with paying the high price of Evernote and starting to store notes in another app, I decided to finally try out Bear notes. I had been hearing a lot about how great it is for the past year or so. And let me tell you, I was very impressed and bought a subscription after a day of using it. Bear notes makes total sense to me. Using it allowed me to make sense of all my current systems. And it’s incredibly inexpensive at only $1.49 a month compared to the almost $10 a month I’ve been paying for Evernote. 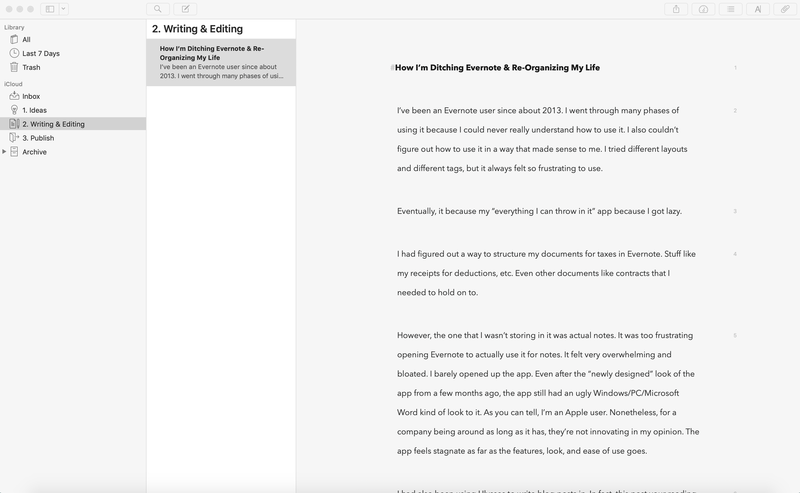 At the current moment that I’m writing this post, I’m still not fully switched over to Bear and out of Evernote just yet. I’m still doing some organizing and moving around of files and notes. However, here’s how I’m going forward with using various apps and how I’m going to go about organizing files. The plan is to move all my documents into a folder structure in Dropbox. This means stuff like documents and receipts I’ll need for taxes, contracts, etc. Basically, anything I’ll need to hold onto, but don’t necessarily need to access frequently. Eventually, I’ll create Hazel rules to file them into the correct folders automatically for me. Documents with more sensitive information and stuff I may need to access in a very fast manner is going to be stored in my password app, 1Password. This is everything like insurance info, health records of me and my family, car info, etc. The app encrypts everything and makes me feel safe. I also have plans on creating a shared vault of this info so that my wife can have access to our important life-related info for myself, herself, and our son. This app will be for strictly long-form writing only. Currently, I have 3 folders in Ulysses. “Ideas” will be for posts I’m currently brainstorming on. All other ideas that I haven’t begun brainstorming will be stored in Bear. “Writing and Editing” will be for posts I’m currently writing and/or proofreading. And “Publish” is for posts that are done and need to be published to my WordPress sites. This will be meant for notes and how I should’ve been using Evernote. It’s to store project notes, ideas, lists, reference material, various things I need to remember for in the near future, receipts I only need to hold onto for a short period of time, and other admin types of things I want to remember for my photography business or this website and his isn’t sensitive information. I use this app for sending articles I want to read later. If after reading an article I decide it’s something I want to hold onto, then it’ll get stored in my reference tag in Bear. One thing I forgot to mention is that after I started going through my reference folder in Evernote, I threw away hundreds of articles I had saved. So now, I’m going to very strict with saving articles. This is something I’m still working through. I moved my someday lists I had in Evernote and created a board for them in Trello. I broke down lists based on categories of whatever it is related to. Some are related to photography or Christmas gifts, etc. I still haven’t found a way to use Trello that makes sense to me, but I do like the app. I just haven’t quite defined what hard lines need to be drawn with using Trello. Then again, I might just ditch Trello. Who knows. So, this is how I’ve been transitioning out of Evernote. I feel like so much stress and frustration is being lifted off my shoulders. I can’t wait until I cancel my Evernote subscription and drag the Evernote app into the trash. It’s already deleted off my iPhone. If you have a system that works for you using these apps, I’d love to hear how you’re using them. Let me know in the comments!